If you're a Tamilian living in Mumbai, there's a pretty good chance your cupboards contain something from Co-optex. Probably a bunch of hand-spun cotton towels. Or a nice cotton veshti. Or a handloom saree. My family has been buying all of these from Co-optex for many years now. Co-optex is the brand name of the Tamil Nadu Handloom Weavers Cooperative Society. Last month I was invited to attend their lecture-demonstration on the handloom weaves of Tamil Nadu. Although I am Tamilian, there are many small weaving clusters of Tamil Nadu about which I know nothing. So this was the perfect opportunity to meet friends and learn new things. The lec-dem was very informative. Knowledgeable and experienced staff from Co-optex showed us samples of the weaves, and told us about the diverse weaving traditions of Tamil Nadu. I learnt many new terms and developed a deeper appreciation for the complexities of the weaves. I was also very impressed by all the changes happening at Co-optex. I have always thought of Co-optex as a slow behemoth. It looks like the behemoth is now alive and kicking and doing exciting stuff. For example, they are recreating a range of "MS" sarees. "MS" is the legendary Carnatic singer, M. S. Subbalakshmi, who is a household name among South Indians. Everyone was very excited to see a saree in "MS Blue", the famous shade of blue that M. S. Subbulakshmi wore. 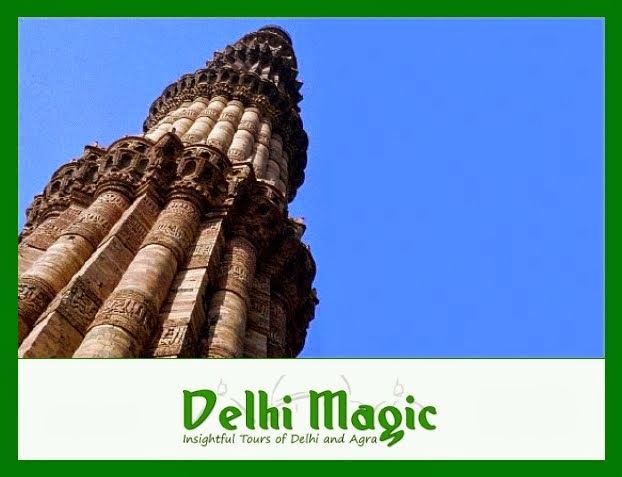 "When are you launching these in Mumbai, Sir? ", was the clamour in the room! I bought 4 sarees that day. 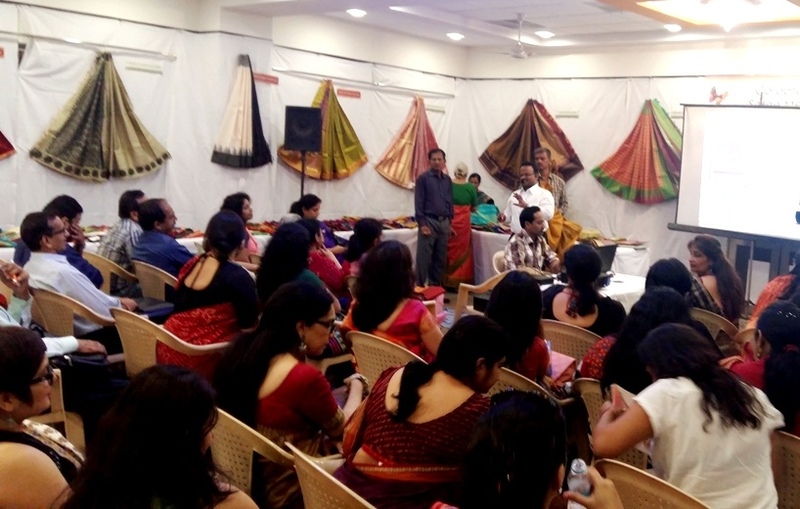 Two of them were organic sarees, part of a new initiative by Co-optex. For weaving these sarees, they use cotton which is grown without the use of pesticides. The yarn is coloured using only natural dyes / plant extracts. I'm posting a photo of the organic saree which I wore earlier this week. 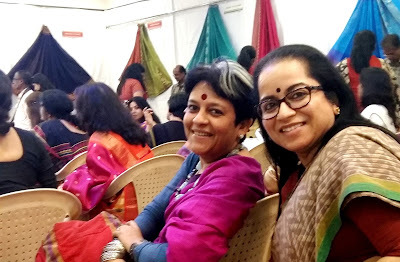 The saree felt light and cool, and it worked really well with my dabu mud-resist blouse. Here's the third saree, this one is also a lovely saree with green checks. It is from a weaving cluster called Paramakudi, near Madurai. Weavers from Saurashtra migrated to Paramakudi 600 years ago. They wove cotton and silk, and were originally patronised by royal families of Ramanathapuram and Sivaganga. 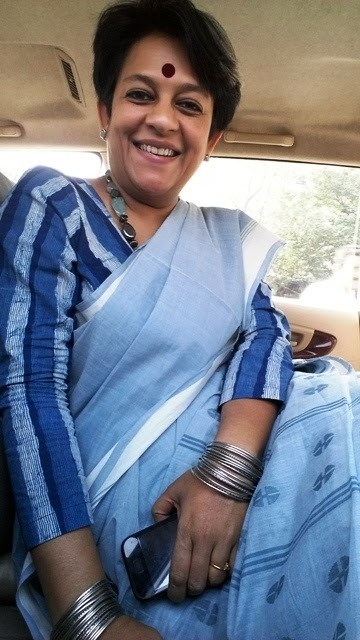 I teamed this Paramakudi saree with a block-printed blouse and silver choker. Lovely combination, no? Not many people know about the Paramakudi weaving cluster, or about the people who produce such beautiful sarees. 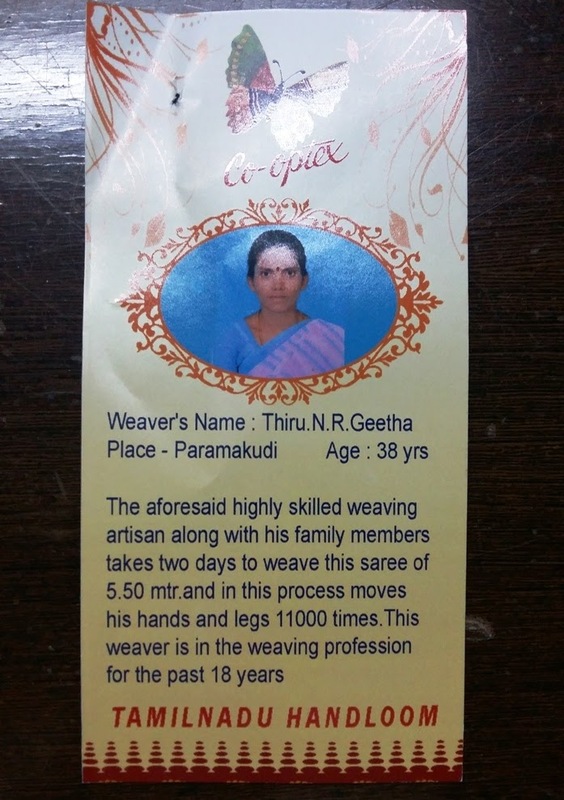 Co-optex is trying to bridge the gap, by creating saree labels that show the origin of the weave. 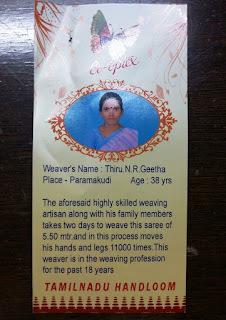 I learnt, for example, that my saree was woven by a woman named Geetha, and that she is 38 years old. It took Geetha two full days to produce my saree, because each thread was woven by hand. This sort of immense effort is not possible without a certain mental attitude. In fact, handloom weaving is a form of sadhana, meditation, because you need an almost meditative state of mind to achieve the rhythm and become one with the loom. This is why handlooms are a precious part of India's textile heritage. I've got another beauty from Co-optex to wear in the coming weeks. It is a stunning purple "koorai podavai" from Koorainadu. In Tamil weddings, the main wedding saree is called a "koorai podavai", and traditionally these were made in the weaving cluster of Koorainadu in Nagapattinam. Co-optex is reviving this cluster by bringing new interesting colours to improve the appeal of the sarees. 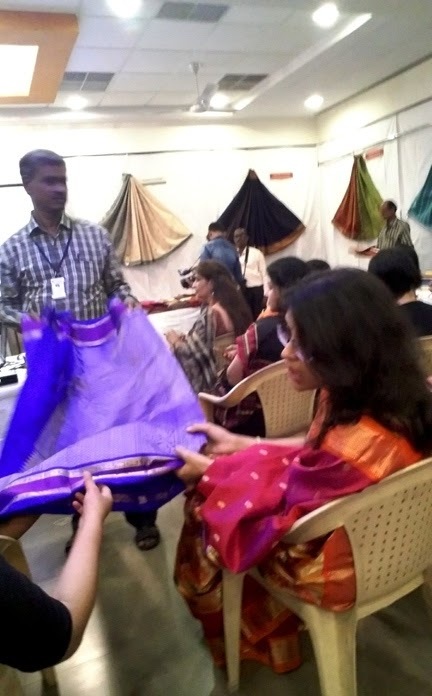 There are just 10 weavers in this society, so there are only a limited number of these Koorainadu-revival sarees. The saree has silk in the warp and cotton in the weft. I'm not posting a photo because I still haven't worn it! It's brand new. I'm super thrilled that Co-optex is becoming a dynamic and enterprising co-operative. Their facebook page is active, they are reviving and breathing fresh life into handlooms, and they are creating new markets for the weavers. I wish them success in their efforts to popularise Tamil Nadu's beautiful handlooms. 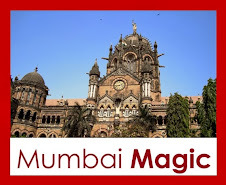 Please note, the Matunga one is closed. 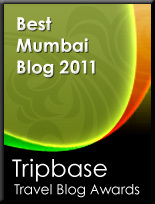 The showrooms are in Mahalakshmi, Chembur, Fort and Dadar.